One of the new features that brings iOS 12, among many others , is the ability to activate a specific mode Do not Disturb for hours of rest . If we indicate it, the mobile will stop showing the notifications, and will try that nothing bothers us in the hours that we define from the adjustments. In addition, it also integrates a new design for the weather widget, which will give us good morning every time we get up and deactivate the setting. All this has been thought as part of the commitment that Apple has made to disconnect us more from its products , and connect more to what matters to us . And few things should matter to us more than our own health. 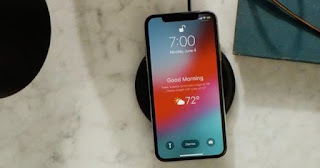 However, what has attracted most attention of this new function, is the design of the widget that appears when leaving Do Not Disturb in Sleep Mode, and today, we will show you how to use this mode to activate it. To start, we have to check that the location settings of the Weather app are set to Always, for this, we will access Settings > Privacy > Location > Time , where we will select the option mentioned above. Now, it's as simple as going to the Do Not Disturb section, also located in the Settings app, where we can configure the hours in which it will be activated automatically. It is also necessary that we select the Dream Mode. Now, every time we leave Do Not Disturb, regardless of whether we do it by manually deactivating it through the notification that will be shown while it is active, or after passing the configured time, we will be welcomed with the forecast of the time for the day that we are about to pass. Even, it will vary depending on the time it is, wishing us "Good morning" or "Good evening". Of course, it is clear that iOS 12 is not only more beautiful, but also more intuitive and intelligent. And you, are you already testing iOS 12?